Detroit has plenty of rail lines that reach from one end of the city to the other. The trains that ride upon the rails crisscross vast areas of the city. They haul new cars fresh from assembly lines; various parts to manufacturing plants; and raw materials, liquids, and plenty of other goods. 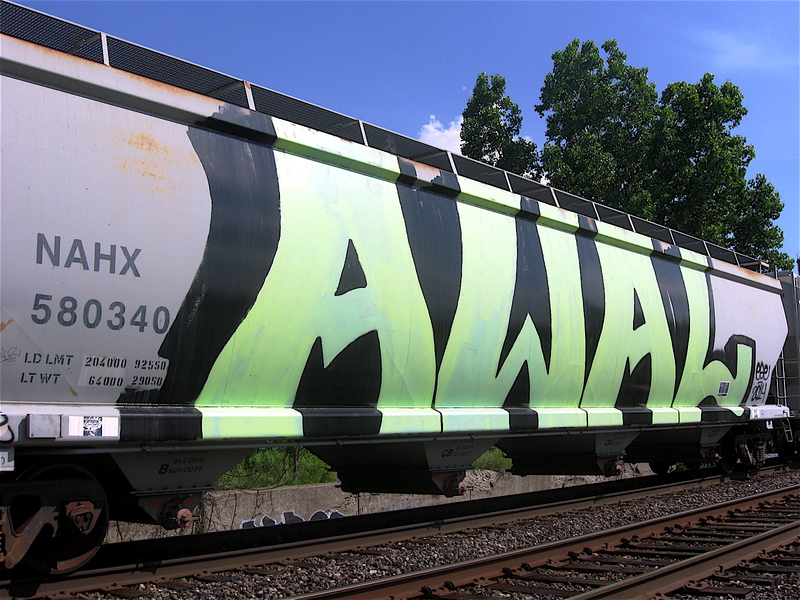 One thing about the trains that is always an eye catcher is the graffiti written on the sides of the cars. 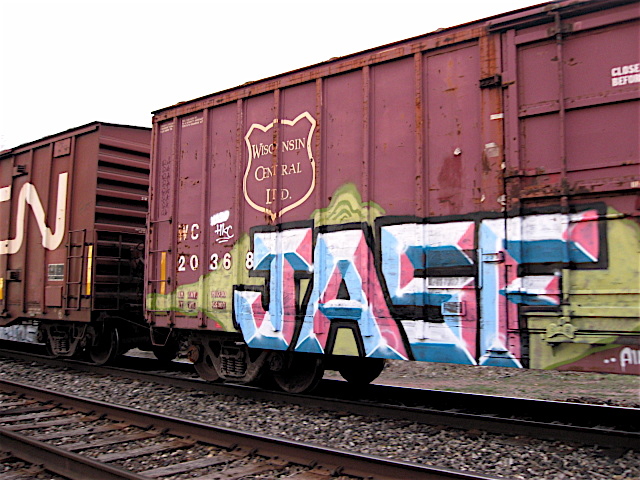 Just about every freight hauling car I see while riding my bicycle has some type of graffiti written on it. 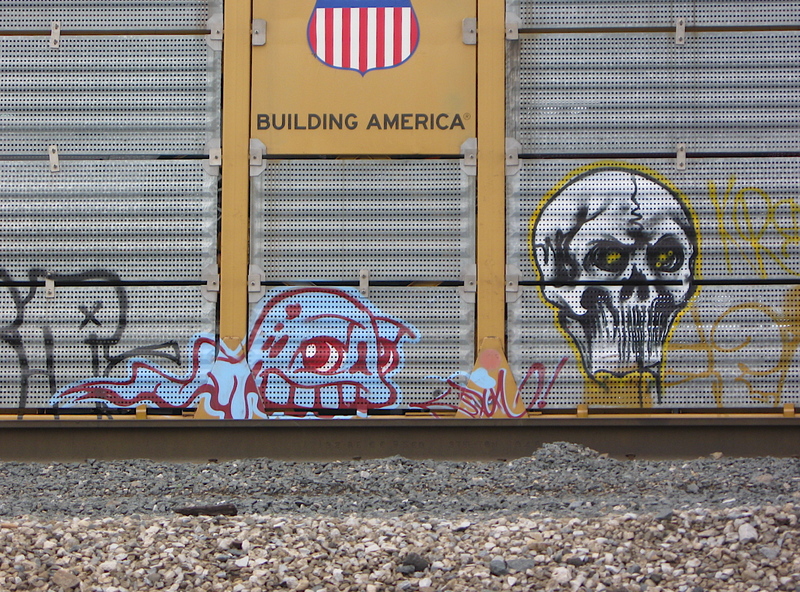 Some are simple black and white tags, and others are small, interesting images much like a cartoon character. 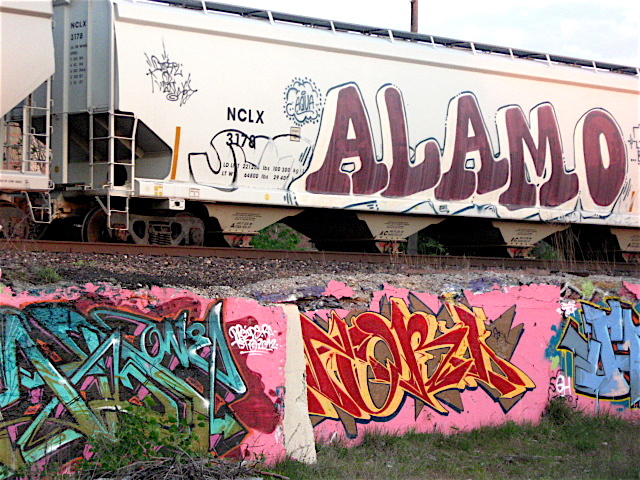 Many I’ve seen on the side of passing railroad cars are intricate, multi-colored pieces of art that flow naturally to the contour of the cars. Other pieces spread along the flat, lower sections of the car. 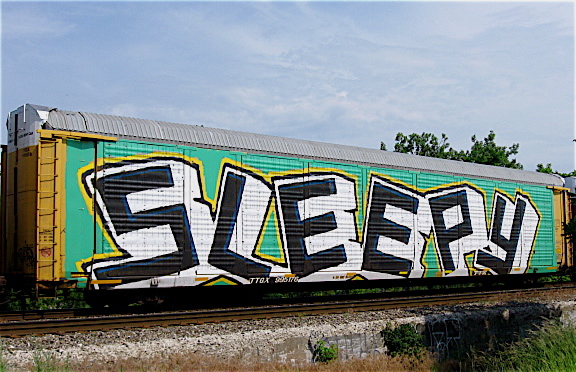 Some trains have well over one hundred cars, and I have spotted some type of graffiti or message sprayed on every one of them as they rolled by. On rare occasions I do see cars that are completely covered from top to bottom with a single piece of art or huge letters. Those particular painted cars must be difficult to do because of the sheer size of the rail cars. 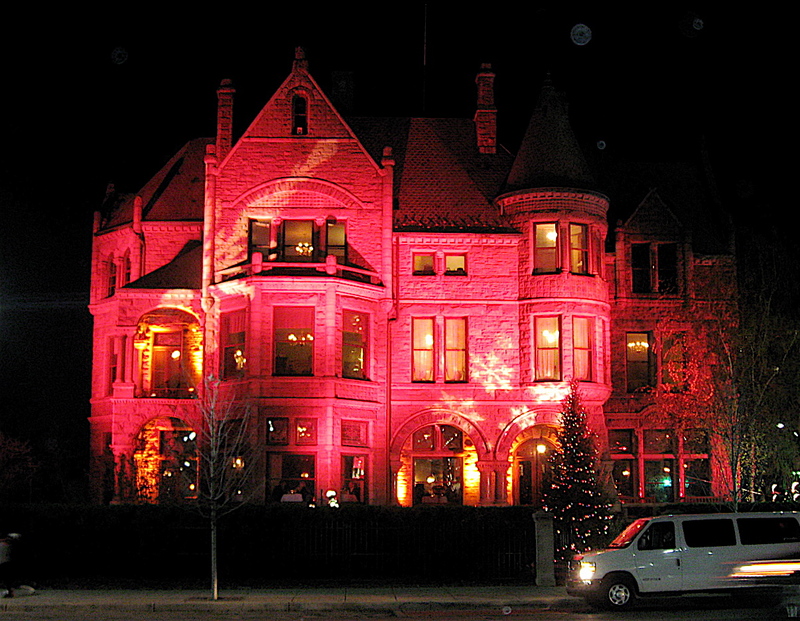 The enormous images I’ve seen created on them appear to be at least 20 feet tall. 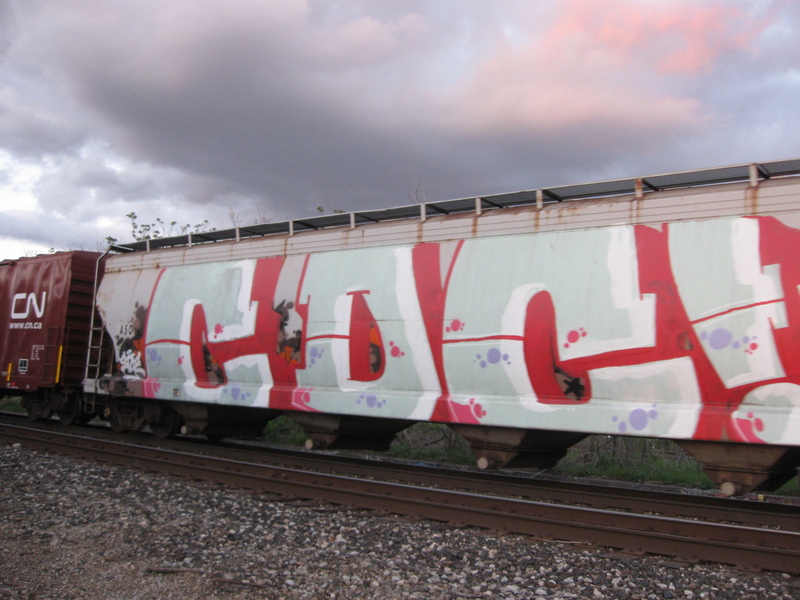 Reaching the top of the train car with paint must require a ladder, which could be a dangerous proposition for the street artist, considering that the cars could be pulled away at any time. I seldom see a fully painted car on my travels. When I do, I’m always amazed that the artist responsible for the piece was able to get it done.